The 800 Series was the first line of HP computers to employ HP's new Precision Architecture (PA) RISC (Reduced Instruction Set Computer) CPUs. The Model 840 was introduced in 1986. HP's RISC development program was code-named Spectrum. It was the most expensive R&D program undertaken by the company to date. The effort was funded by an internal "tax" on all HP operating divisions (rather than being solely funded by HP computer divisions). RISC CPUs were designed to replace CISC (Complex Instruction Set Computer) CPUs. CISC CPU was the the name given to non-RISC CPUs AFTER the introduction of RISC CPUs. From the beginning of the industry, CPU design had become increasingly complex (and expensive) as designers built more instructions and power into the CPU. A more powerful CPU meant the computer relied less on expensive memory. As low-cost semiconductor memory began replacing magnetic core memory starting in the mid 1970s, it became apparent to some visionaries in the industry that computers could be made faster and cheaper by reducing CPU complexity to emphasize primarily "load-store" functions. Much of the functionality of the complex CISC CPUs was underutilised. These CPUs were designed to perform many complex instructions, many of which were rarely called. When required, the RISC CPUs performed these complex functions through a series of simplified often-called instructions. Click here to view part of an article about RISC computing featuring HP on the Silicon Valley TV program "Computer Chronicles" in 1986. (1 minute 47 seconds, 8 Mb). HP's original PA-RISC technology was 32-bit. It was implemented first on 800 Series servers, then on HP 3000 computers (1987), and then on 700 Series workstations (starting in 1991). Most HP computing was PA-RISC based during the 1990s, excluding the PC business. In 1989, HP introduced the 9000/600 Series servers. This range consisted of two products - the 635SV and the 645SV. The 635SV was basically a 9000/835S bundled with a 35401 tape autochanger, a 670 Mb disc drive and some other components. 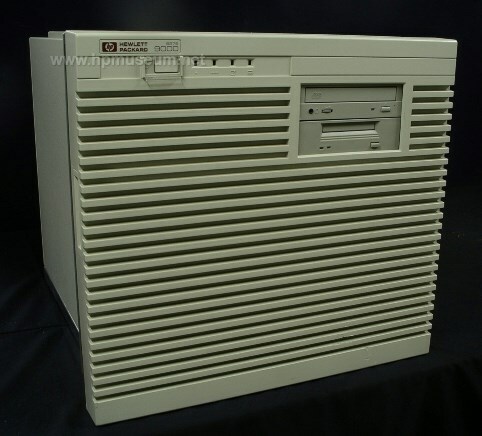 The 645SV was basically a 9000/845S bundled with two 670 Mb disc drives and some other components. In 1991, HP introduced the HP 9000 1200 Series computers. The 1200 Series computers were fault-tolerant UNIX systems that HP OEMed from Sequoia Systems to compete with Tandem. These computers were based on Motorola MC68040 CPUs. The low-end 1210 held up to four 25 MHz CPUs while the high-end Model 1245 held up to 32 33 MHz CPUs.